Dr. Chi is a board-certified hematologist and medical oncologist with expertise in treating solid tumors, blood cancers and hematologic disorders. She completed training in internal medicine at St. Joseph Hospital at Chicago and a fellow in oncology and hematology at the Cleveland Clinic. 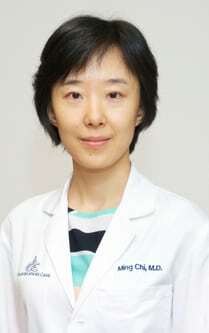 Dr. Chi is a member of The Chinese Medical Association of Atlanta. Dr. Chi has had numerous articles and abstracts published on clinical topics of breast cancer, brain tumors and brain metastasis.